And since the world has seemed to suddenly remember the biggest island in the Caribbean still exists, tourists are wondering data-less and clueless around the streets of La Habana Vieja or El Vedado hungry. Famous for hosting tourists and locals alike, Santy Pescador overlooks Rio Jaimanitas and boosts a twist on traditional Cuban seafood – sushi. And if you are lucky enough to visit Havana during tuna season, you cannot pass anything Santy Pescador makes with tuna. An incredibly laid-back atmosphere with great views of the sea and marina is a great way to spend lunch or dinner in Havana. 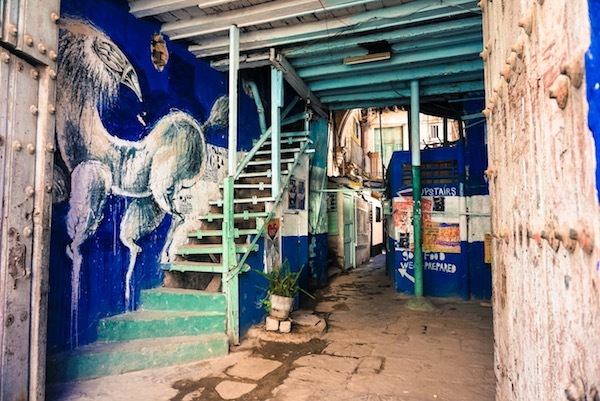 Mari’s Pro Tip: Santy Pescador is a bit outside center Habana but a few streets down is Fusterlandia, a MUST SEE for anyone interested in local beautiful art. Fusterlandia is an entire neighborhood dedicated to eccentric Cuban art by artist Jose Fuster. If you decide to go, I’d suggest to arrive after all the tour busses and crowds leave around 2pm-3pm). 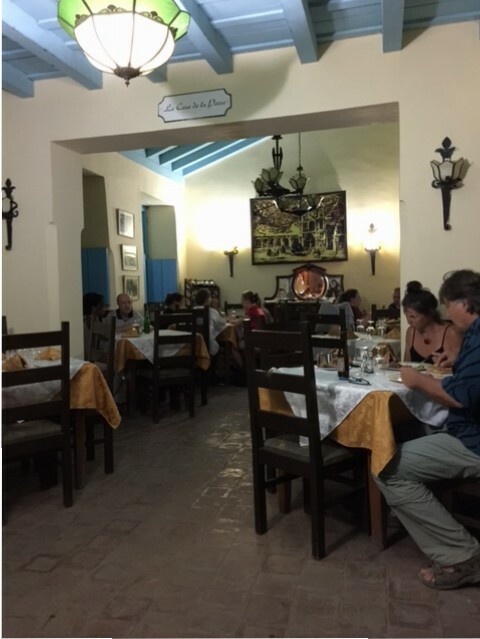 Tucked away by the overly flamboyant streets of La Habana Vieja is one of the best Cuban restaurants in the touristy neighborhood. El Del Frente is on O’Reily and Aguilar and on the top floors of the building with a beautiful rooftop terrace. Enjoy amazing Cuban cuisine and finely made cocktails in a very unique setting. You’ve probably come across this one if you’ve done any sort of research of Cuban restaurants and it’s worth the buzz. El Chanchullero is also in touristy Habana Vieja but makes probably one of the best ropa Viejas I’ve had in the area (and that’s a very tall order for me!). It has a great bar decorated with wine bottles and posters. Somos Cuba (we are cuba) is EXACTLY that. From the location to the hosts to the food, you CANNOT get any more Cuban than this. Located in a solar (buildings that are divided into very small apartments in center Havana), Somos Cuba’s chefs Ivan and Leidi serve you in the kitchen itself. They welcome you as any Cuban would with love and food. It’s a bit pricey for Cuban standards but the experience and the food is well worth it. Pro-Tip: There are stairs with graffiti pointing you to the restaurant. If you think it’s not where you should go, it most likely is! Packed times include lunch and early evening hours so you might want to go a bit later. Its small so don’t be shy to be a bit Cuban-like and talk to your dinner neighbors. Yes, I’m recommending Chinese food in Cuba and it may surprise you that Chinese roots are essential to the fabric of Cuban culture. Chinese immigrants have been calling Havana home for generations now and their food still inspires. I’m putting this on the list because I always think its great to experience a different kind of cuisine than in the country you are visiting. Plus, let’s be honest… there’s just so much rice, beans and meat that one can eat. Well Flor de Loto fits the bill! Right in the center of you guessed it, Barrio Chino, Flor serves the best fusion Havana has to offer. I mean where else in the world can you get perfectly fried plantains and the best crabmeat with fried rice all in one huge (HUGE, yes the portions are CRAZY BIG) plate? Only in La Habana! A La Mesa is a Cuban app (yes, tech start-ups are a thing in the land of no data but that’s another blog post) that lists restaurants of all major cities in Cuba. They give you filters for live music, bars, tapas, and price range. It’s not yelp, but it works off-line and is an amazing app to have while visiting the island. 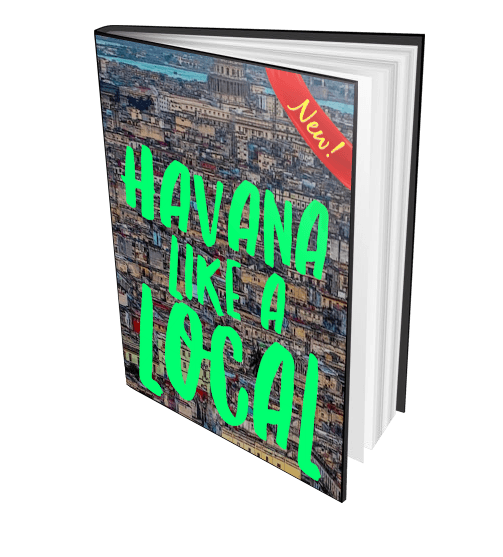 Get our mini guide HAVANA LIKE A LOCAL!